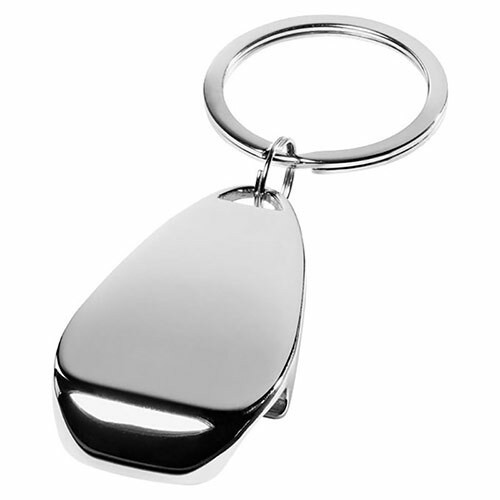 A sturdy metal keyfob in polished silver colour finish, in an attractive oval design and incorporating a bottle cap opener function. 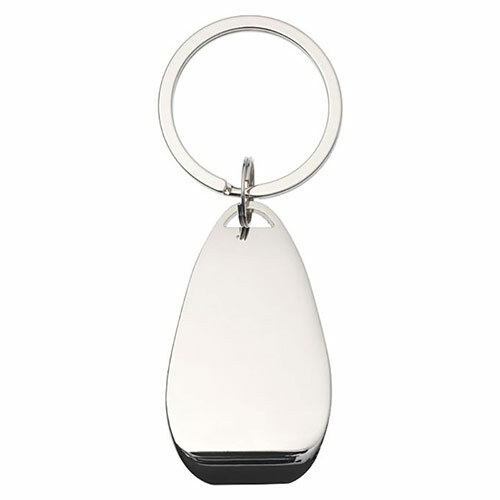 Ideal engraved as corporate gifts or branded merchandise, each keyring bottle opener is supplied in a black gift box. Minimum Order - please note there is an MOQ of 20 units for this product. Product size: 2.8cm x 1cm x 8.9cm. Weight: 32g.